So, you have your social media and networking sites all set up, you’re interacting with fans, and your YouTube channel is growing all the time – but there’s something missing: your blog. Your very own website where you can give your fans more content so they can get to know you better; where you can build a brand for yourself, or your band. 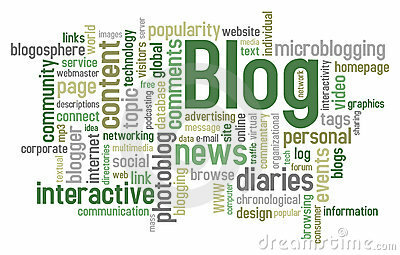 Music marketing guru, Bob Baker (who also runs thebuzzfactor.com) states that a blog should be the hub of your online activity, with your social media sites being the out posts – increasing your presence online, but ultimately there to drive traffic back to your own website. Many bands and artists use MySpace for this purpose, but with the uncertainty about whether it will shut down, it’s important to have a website that YOU control the fate of. With a blog, you also get total control over the layout, and the decisions about your branding. On social networking sites, there are many widgets and distractions for people viewing your page, whereas on your blog you can have a personal relationship with your fans without the clutter and competition that social media sites have. 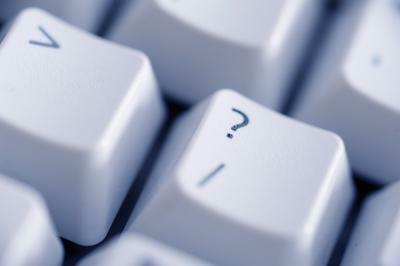 So how do you choose which site to host your blog on? Or should you just have your own website? WordPress – One of, if not the most, popular hosting sites out there. Huge range of themes to choose from to suit you, and lots of widgets and add-ins to choose from also. Mainly a blog for written content, but there are certain themes that are image based, and you can add in videos and photographs on most, too. There’s a reason why it’s been so successful, as it’s easy to use and you have a lot of control. Tumblr – A site that is mainly based on photo posts, however you can have audio, video and text too among others like a ‘quote’ post. Again, lots of themes to choose from, and Tumblr could be a good choice for you if you’re a bit daunted by creating a lot of written content; for example you could start out mainly d0 photo posts, with bits of explanation. Blogspot – One of the initial blog hosting sites, and good for if you want a very simple bases on which to publish posts. Definitely not advanced as WordPress or Tumblr in terms of being able to customise your blog, but if you’re a novice it is easy and straightforward to use. Your own website – The alternative is to DIY. 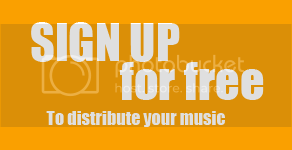 You get complete control over layout and branding, plus the domain of the website belongs to you; instead of having www.yourband.wordpress.com (for example) it’s just www.yourband.com. You will have to pay a small fee to buy the domain name, but then you’ll own it and you can do what you like with it! Content – It’s always hard starting a blog and figuring out what to say. If you don’t feel comfortable writing about yourself when you start out, then you can make the posts mainly photographs with description, or videos – you don’t have to just write about you. Fans also want to know how you think, so writing your opinion on things in the industry or music out there is also a good way to build up content. News is also a simple and essential thing to have a section, or tab, for – to update your fans on upcoming gigs, radio plays etc. The main point is just to have content up there, and to update it on a regular basis. Consistency – It may take a lot of work, but it’s important to dedicate time to your blog – as Bob Baker said, it should be the hub of all your online activity, so your posts need to have some sort of structure to them. Fans wont appreciate it if you just use your blog to tell them to come to a gig or buy your single, so regular contact with your fans that tells them about your life and what you’ve been up to is a good idea. Tabs – Tabs make it easy for people to navigate round your site, a good structure is to have ones for news, press cuttings, about you, upcoming gigs, and anything else you want to separate. This leaves the main page clear for updates about you and your music in general. Photos and videos – You should include photos from all the gigs you do to back up what you write about it, so that your fans that could’t make it can get a better idea of you performing. As already mentioned, video diaries are a good way to keep people coming back, as they will want an update on how your getting on – this works especially well if your on tour. Music– Of course the fans want to hear your songs,and you could make this happen via the Zimbalam Player, which can be embedded into your website, meaning that all your music would then be there, along with the direct-buy links to digital stores. Emails – You need to collect those all important contacts, so you need a place where people can leave their addresses. You could do this by having a widget in the side bar, or the Zimbalam Player has an email sign-up form already embedded in it. Final Tip: Don’t forget to link out every time you post to Twitter and Facebook etc, so that your fans on there will visit your blog for the exclusive, longer content that you have on there.